Limited liability companies are popular business entities because they allow for a great deal of flexibility in management. How a particular LLC operates is determined by the laws of the state and also by the agreement of the members. Although not a legal requirement, most LLCs draft an operating agreement to establish how the business will be managed. The operating agreement serves as a legal contract between the owners and may provide for how LLC members may be fired, and how new members may be brought into the business. Where an operating agreement does not exist or is silent on the issue of removal, most states only allow removal if you seek assistance from the court. Unless the members of an LLC agree otherwise, the LLC is member-managed, meaning that all the owners participate in the operation of the business. However, the owners may instead create a manager-managed LLC, meaning that only certain members will act as managers of the business. Although the members may agree otherwise, generally all managers have an equal say in making decisions for the business. The operating agreement may provide how managers will be compensated for work done for the company, or may simply provide that all members receive an equal distribution from the profits of the business. Like other issues that arise with LLCs, the procedure to change the management is dependent on what the members agreed to in the operating agreement. 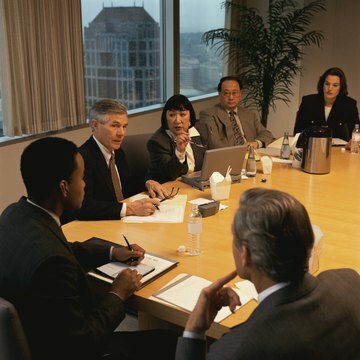 Where not otherwise provided, a manager may generally be removed if the majority of the members agree to the removal. However, if you take away the management rights of a member, it does not change the financial interest of the member. He will still be an owner of the LLC with the right to vote on new managers. The ability to fire a member depends on the LLC's operating agreement. The operating agreement may provide a procedure for voting to change management, but it is uncommon to find provisions allowing members to vote out other members of the business without compensation. Instead, an operating agreement may allow a member to be involuntarily removed only if another member buys out his interest in the business. In cases of member misconduct, you may be able to seek assistance from the court in removing a member of the LLC. Generally, a court will only intervene in situations where a member has willfully violated the operating agreement, or acted in a way that is intentionally against the interest of the LLC. However, depending on the laws of the state and the provisions in the operating agreement, having a court remove a member from the LLC may also dissolve the business.